Outside my San Francisco apartment window seemingly unrelated sounds fade and pan. Street traffic, parks, fog horns, rain, emergency sirens, pedestrians, freight ships; they all seem to create their own counterpoint. At first this resonates as an overwhelming cacophony without focus or purpose. Yet once heard with amenable contentment the variant sounds are given the chance to condense into accord. 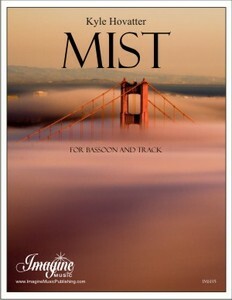 ”Mist” is a duet for bassoon and track where the solo instrument and prerecorded sounds are given equal importance. It has been written for and dedicated to Paula Brusky, the premiering bassoonist.